The new hour will air primarily in daytime and early afternoon on stations in 150 markets, representing more than 90 percent of the U.S.
Dr. Joy Browne is hosted by the licensed clinical psychologist and best-selling author whose daily radio talk show, syndicated to 300 U.S. and Canadian stations, is the longest-running, most-successful program of its kind. Burt Dubrow, the multi-award-winning producer recognized as the driving force behind television’s most innovative and successful talk shows, is Executive Producer. A licensed clinical psychologist who has hosted issue-driven talk radio for 20 years, Browne has a daily radio program currently syndicated in the U.S. and Canada through WOR. Commended by the media as “classy and consistently sensible… the radio psychologist for people who thought they hated radio psychologists” and “(with a) cut-to-the-chase but fundamentally kind style, she’s outlived imitators,” Browne has received high-profile recognition for her work. She was recently honored with the American Psychological Association’s first-ever President’s Award for her contributions to the profession; named “Top Female Radio Talk Show Host” by the National Association of Talk Show Hosts for 1996 and 1997, and selected as a member of Vanity Fair magazine’s “Hall of Fame” in 1996. Prior to WOR, she hosted talk shows on WITS (now WSSH) Boston; KGO and KCBS, both in San Francisco, and WABC New York. Browne is equally prolific and recognized in the publishing world. Her sixth book, “The Nine Fantasies That Will Ruin Your Life” was published in Fall 1998 by Crown Publishers Inc. as part of a two-book deal with Random House. Winning a five-star review from Amazon.com, the book has sold more than 53,000 copies and has been released as an audiocassette as well. Browne’s seventh book, “It’s A Jungle Out There, Jane” – which she describes as a survival guide for understanding the male animal – will be released in Fall 1999. She is a licensed clinical psychologist on the board of the American Psychological Association, listed in the National Register of Healthcare Providers.Dr. Joy Browne is produced in New. York. Do you want to hire Dr. Joy Browne? Directly request a quote. In 48 hours we can send you the availability of Dr. Joy Browne If you would like to book Dr. Joy Browne, Entertainment Booking Agency is the right place. We will offer you the best price and contact the management or we directly contact Dr. Joy Browne. For corporate appearances or speaking engagements you can contact our agents and the will help you true the process. Tags: hire Dr. Joy Browne, Dr. Joy Browne booking, book Dr. Joy Browne, Dr. Joy Browne appearances, find more information on booking Dr. Joy Browne for appearances, Dr. Joy Browne speaking engagements, Dr. Joy Browne endorsements/spokesperson, Dr. Joy Browne appearance fees, Dr. Joy Browne booking agency contact info, biography of Dr. Joy Browne, Contact an artist booking talent agent find a speakers bureau that can book Dr. Joy Browne, speaker booking agency for Dr. Joy Browne, Dr. Joy Browne booking agency, Dr. Joy Browne booking for corporate event. EBA is one of the biggest entertainment booking agencies in the World. We book hundreds of celebrities, artist, athletes and speakers in a year. Important to know is that we are not claiming to be the management of Dr. Joy Browne. 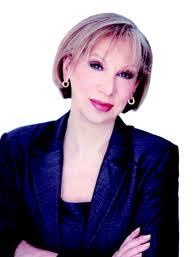 We are not the official agent for Dr. Joy Browne. Companies from around the globe book these artists and speakers true our company be course we have one of the biggest networks and we always have direct contact with the artist or the management. We help you to find the right celebrities for your corporate of private events. Please contact one of our agents to get free advice and we will help to get the world-famous artist on your party.